Chord Electronics QuteHD review | What Hi-Fi? If you’ve always lusted after Chord’s stunning QBD76 digital-to-analogue converter but could never stretch to the £4000 price tag, we have good news: the new Chord QuteHD is exactly what you’ve been waiting for. 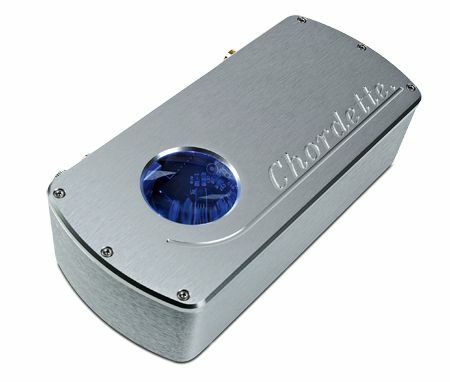 Built into a standard Chordette casing — Chordette is the company’s ultra compact entry-level range — the QuteHD features most of the technology that makes the pricier DAC so special. the likes of Burr-Brown. In its high-end DAC designs, though, Chord has gone its own way by using a FPGA (Field Programmable Gate Array) and running proprietary software on it to do the number crunching. Until the QuteHD came on to the hi-fi scene, this conversion technology was limited to Chord’s top-end products. This is the first time it’s been available anywhere near the £1000 mark and we’re mightily impressed with the results. Yes, the QuteHD isn’t as subtle or as authoritative as its big brother, but it costs a cool £3000 less – and for the money it’s really a terrific performer. If you value qualities such as dynamics and rhythmic precision, we can’t think of an alternative we’ve enjoyed more. While the Chord’s ability to replay 32-bit/384kHz material will grab the headlines, there isn’t a meaningful supply of files at that resolution at the moment. So the ability to cope with 24-bit/192kHz source material and below is far more pertinent. The Chord can handle all the conventional resolution files through each of its optical, coax and USB inputs. The USB input will also accept a DSD data stream (Direct Stream Digital, as seen on SACDs) and treat it natively rather than covert to PCM first: something of a specialist requirement, but nice to have. You might notice that there’s no front panel button or display. Inputs are auto-sensed, and the top panel window changes colour depending on the signal’s resolution. CD standard 44.1kHz is represented by red, 96kHz is represented by green and so on – much like the AudioQuest DragonFly DAC. The performance across all inputs is impressive, but we ended up liking the coaxial connection the best. Listening to a 24-bit/96kHz Kate Bush’s 50 Words For Snow proves a joy as the Chord delivers a full-bodied and expressive performance – it makes most rivals sound insubstantial and lacking cohesion. Bush’s voice is rendered with impressive detail: every nuance is communicated clearly. This adds up to an immensely engaging performance where any thoughts of hi-fi fade, leaving just the music to take centre stage. The story is the same when the QuteHD is dealing with a 16-bit/44kHz recording of Massive Attack’s Heligoland. This is a favourite of ours for its complex rhythms, deep bass and, most importantly of all, great songs. The Chord DAC nails it. There’s unstoppable rhythmic momentum with the likes of Atlas Air, with wide-ranging dynamics to match. Most of the material on this album is immensely dense as far as production goes, but the QuteHD takes it all in its stride, providing plenty of insight without losing cohesion. Some rivals might sound a little more open, but we’re happy losing that extra dose of spaciousness for the Chord’s full-bodied approach to replay. Build quality is up to the brand’s usual high standards, and the solid aluminium case makes a stark contrast to the usual bent-metal casework we normally see. All in all, this is a terrific product: it’s simple, looks great – and above all, sounds absolutely fantastic. You’ll have to spend twice as much to get something significantly better.